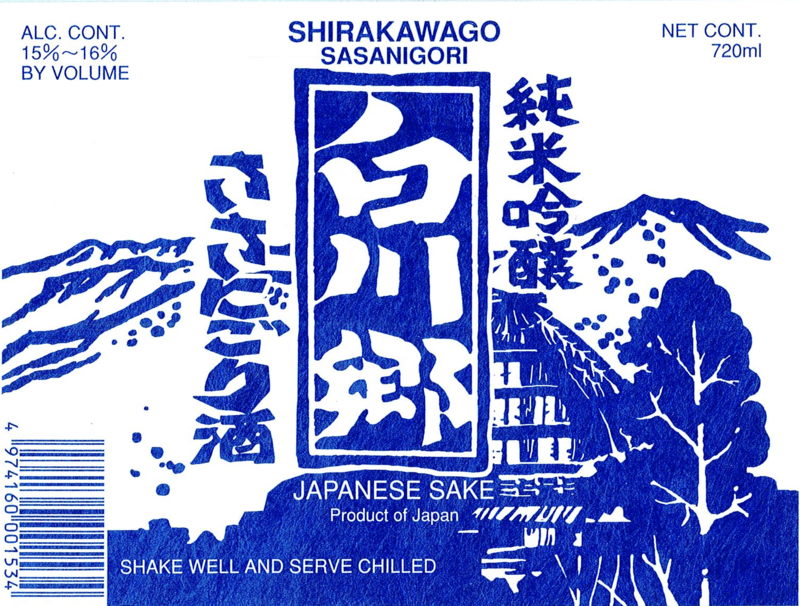 Shirakawago is superb unfiltered sake made from Hidahomare rice (BY29). Blended with Moromi (sake-mash), its mellow flavor and wealthy aroma is best enjoyed chilled or on the rocks. Awarded Silver in the Wine and Spirits Wholesaler's of America 68th Annual Convention & Exposition Wine Tasting Competition. Lightly cloudy with a consistent whitish hue. Aromas are delicate, hinting at newly blossomed flowers, cucumbers and fresh spring water. The flavor is almost sweet in the mouth, with a deep minerality and flowers on the finish. Easy to enjoy.